Trade and commerce require a lot of legal documents. The commercial solicitors' work encompasses the different areas of commercial or corporate law. They also do some commercial litigation if necessary. What exactly are the legal services done by commercial solicitors? The first area that they deal with is commercial property law and company. Mostly they provide advice on the purchase or sale of commercial premises such as hotels, retail or office spaces and the likes. They also give legal advice on all aspects of business leases such as those between the landlord and the tenants, the allocation and/ or renewal of business lease and getting hold of a property as well as its disposal. They can also draw contracts or agreements pertaining to the commercial establishment and its security. Commercial solicitors also deal with company commercial and corporate law and as such the bog companies and corporations have them on retainer due to the bulk of work needing legal advice. Corporations constantly deal with their shareholders, incorporators, board of directors, partnership or joint ventures with other corporations and mergers or reorganizations. Commercial solicitors are consulted on the corporate responsibilities of the directors, mergers and buy-outs or joint ventures. Conditions are determined for those concerns and usually necessitate the legal documents such as contracts, appointments, subscription and shareholders agreements. 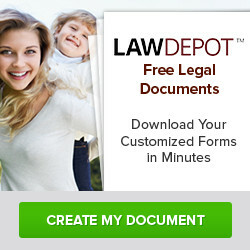 There are also commercial litigation solicitors who focus on the settlement of commercial disputes. They also are involved in the negotiations process in behalf of their clients in cases of claims. Their advice on litigation matters during disputes with shareholders, directors, partners and even with workers are essential. They are also involved in property settlement, insolvency and debt recovery. If there are property disputes or conveyances, their services can also be of help. Commercial contracts can be perused by these solicitors and advice on these can be made.